Rook Piercing is a type of perforation that targets the lower part of the antihelix, above the tragus of the ear. 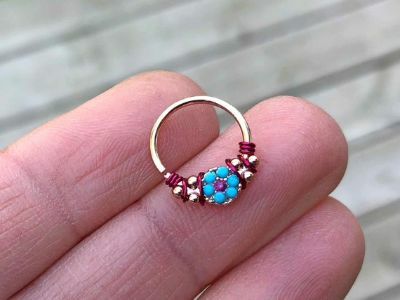 Erik Dakota, a renowned piercer from California, introduced the perforation during the early 1990s. It was featured in the fourth issue of Body Play and Modern Primitives Quarterly. He also popularized several other ear piercings such as industrial, daith, and apadydoe piercing. Pain is very subjective. It depends on an individual’s tolerance. Some say rook piercing is not really painful at all while some say it is one the most painful piercing they had ever received. However, any piercing that has to go through a hard surface may inflict pain. For example, how the rook piercing is done as it has to penetrate the cartilage tissues thoroughly, it might be painful. 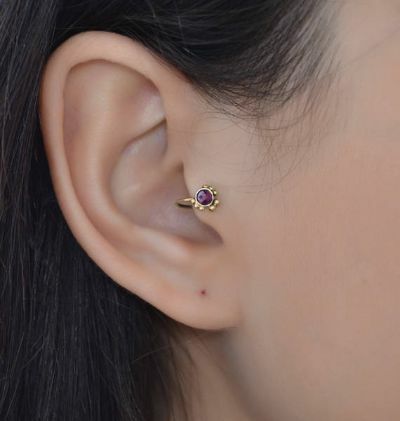 In spite of its probable pain, many people still try rook piercing because of its uniqueness. The procedure of rook piercing is relatively more complicated in comparison other perforation as the needle has to go through a hard surface. It is best to contact a reputable piercer in order for you to be guaranteed with skills and proper sanitation. The entire ear must be cleaned using alcohol. All tools that must be used should be new and/or sterilized to ensure that communicable diseases may not be acquired. The perforation is done almost similar to the other parts of the ear that have cartilage. The piercer may use a clamp but ideally done using just the hands for better control. 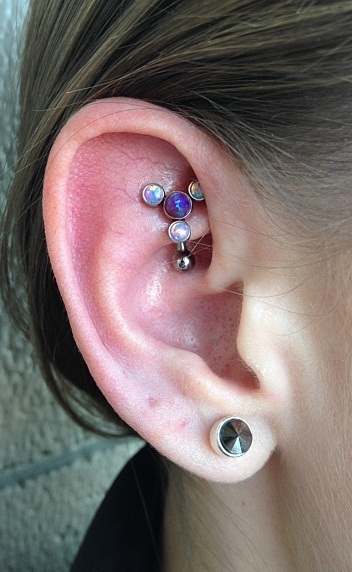 A huge gauge, typically 14 to 16g depending on the cartilage’s size, will be inserted into the antihelix. At the bottom, a hollow tube will catch the end of the tool so that it will not prick the face or other parts of the ear. Once the antihelix has been completely penetrated, the barbell earring will be inserted and properly positioned. Once the jewelry has been placed appropriately, the area will be quickly cleaned to get rid of the blood (mostly just a little amount). 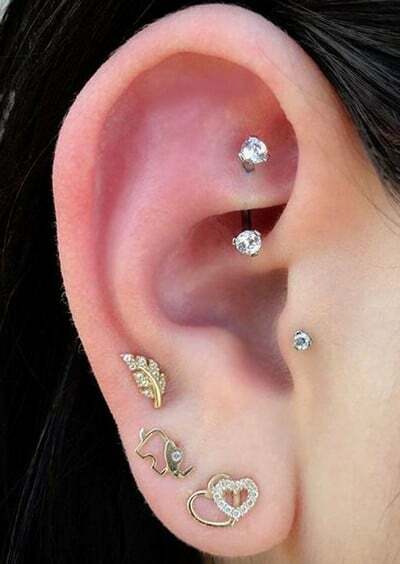 In choosing the right rook piercing jewelry, you have to make sure that space is adequate enough for healing purposes. It is advisable to that you choose a captive bead ring (CBR) or barbell at first so that it can freely move, having ample space for proper healing procedures. Once it is completely healed, you can choose something that has a charm on it. 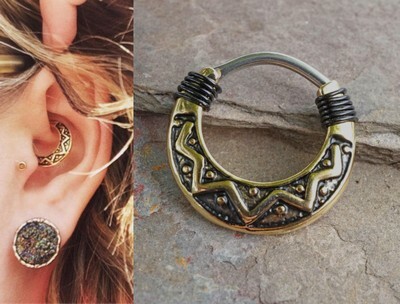 Jewelry for rook piercing usually cost $2 to $50 depending on the design and materials used. CBR, also known as ball closure ring, captive hoop or captive ball ring, has a single bead larger than the opening which allows the jewelry to snugly fit. 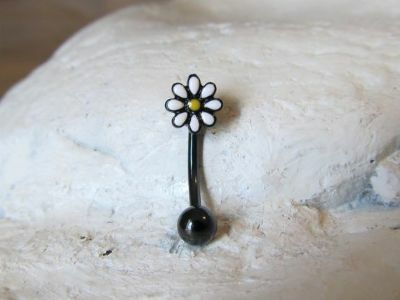 It is usually made of titanium, niobium or surgical stainless steel so that it is safe from probably rusting that may aggravate the condition of your piercing, leading to life-threatening infection. The ball on it may be replaced by anything that will accentuate its look, like a gem, glass, ceramic or acrylic, only when the wound has completely healed. Barbell and CBR jewelry can be removed easily yet when placed, these securely hold its position. It won’t also snag on your hand or clothing because of its rounded edges. When you choose a jewelry that can be easily removed, the healing time of your wound may lengthen because of the recurrent contact and movement. Like any piercing done of the cartilage, rook piercing requires extensive care to ensure that it will properly heal, eliminating chances of infections that would really aggravate the condition of the pierced area. First and foremost, you have to consider the jewelry that will be used on your rook piercing. You could either choose CBR or barbell, as these are the safest options. 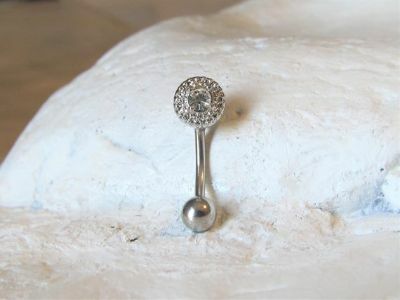 These are best for newly pierced areas as these can efficiently promote healing. Be sure to clean your rook piercing with a saline solution. Do this twice a day two times a day for at least two months. When doing rook piercing aftercare, you should avoid overwashing the area. When cleaning, do not use any cleaners or other types of harsh chemicals that are not suitable for piercings. You should only use a saline solution or other types of special cleaning products that are recommended for new rook piercing aftercare. During rook aftercare, you should avoid touching your piercing more often, except when you are cleaning it. Do not turn or twist your jewelry. This combo of sea salt and tea tree can revitalize your skin. For your saline washes, you should avoid using ordinary salt. Instead, use Recovery Aftercare which consists of 100% dead sea salt taken from the Dead Sea in Beer Sheva, Israel. Saline washes can help in healing your rook piercing quickly. Inverness Ear Care Solution is specially created for the care of rook piercing or any other type of ear piercing. Be sure to properly clean your new piercing in order to avoid any infections. This solution can kill germs. If you will not properly clean your piercing, then it can result in a painful experience. Use this product at least 2 to 3 times a day so you can have a safe healing. Use a saline spray such as H2Ocean 4oz Piercing Aftercare Spray and mist your piercing three times a day. Be sure to spray the entire piercing area and let it dry so the solution will soak into the skin. Afterward, rinse the piercing area with fresh water. Use a clean paper towel in drying it. When using a saline spray you should also keep on using a sea salt soak once a day. Making an accurate solution is very important for healing. 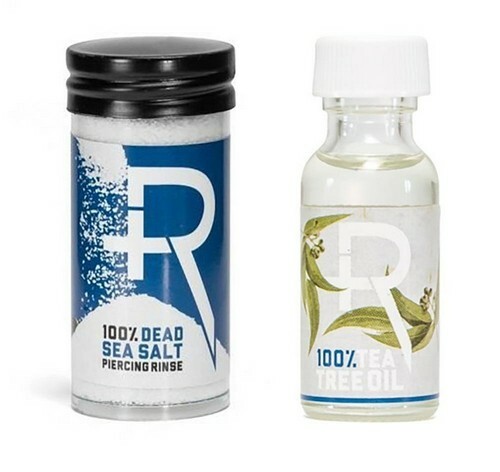 The correct ratio of mixing Piercing Care is 1/4 teaspoon to 1 cup (8 oz) warm water. After mixing, soak your rook piercing for at least five minutes. Do this twice a day, in the morning and in the evening. This will drive out any bacteria found inside your piercing. If used properly, then you only need one tub in healing your rook piercing. 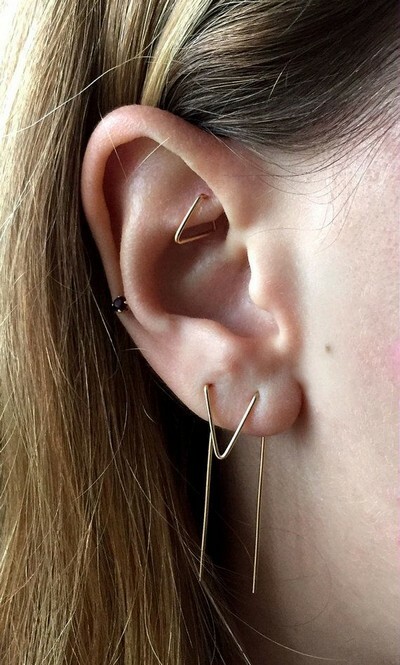 Never touch the jewelry placed on the newly pierced area. Some say moving and rotating the jewelry will improve the condition. 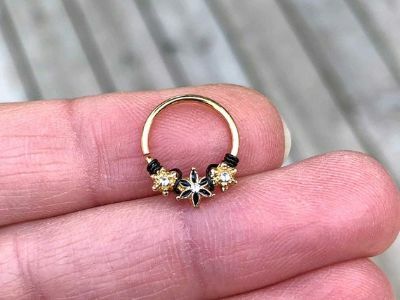 However, as per the Association of Professional Piercers, the jewelry should not be moved as the generation of new cells will be bothered, freshening up the wound once again. You have to make sure that the jewelry is settled for 5 to 7 days so you won’t impede the healing. The rook piercing should also be cleaned on a daily basis. Never use peroxide and alcohol as these can destroy new skin cell, therefore, the wound will look “fresh” once again, and will really halt the recovery period. 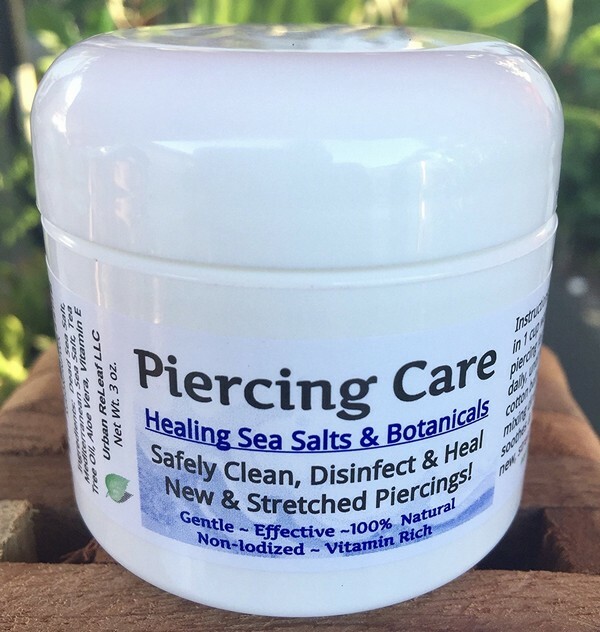 The best thing to use is the sea salt soaks, which you can do at home or purchase from your trusted tattoo and piercing shops. The sea salt soaks mimic the salinity of your body fluids. If you plan to do it yourself, you can mix a teaspoon of non-iodized sea salt with 1 cup of warm distilled or pre-boiled water. Get a piece of cloth or cotton, soak it in the solution, and place it on the pierced area for about 10 to 15 minutes. Make sure that you do not let your rook piercing touch anything, especially those that harbor bacteria, like your cell phone and pillow. Always these disinfect items so that if these touch your ear, these cannot aggravate your piercing condition. You must also not go to any unsanitary bodies of water, like pools and lakes. These may be a good source of harmful bacteria and other infectious pathogens that can really halt the recovery of your rook piercing. When you plan to change your jewelry, make sure that you visit a reputable piercer in order for him to assess if it is already safe to do so. 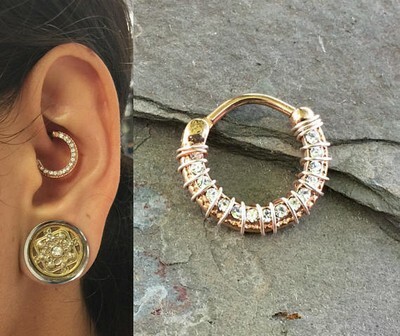 Rook piercing usually heals after 6 months, depending on how you take good care of your piercing, so you really have to wait for a long time before changing the jewelry to something that will really accentuate your look.